Happy Monday and welcome back to my 12 Days of NYC Christmas! We have made it to week two and day 5 (yay). 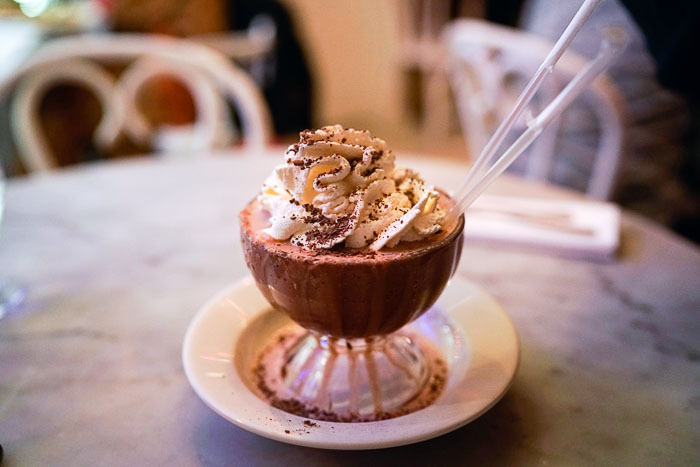 Today we're talking about a favorite restaurant stop: Serendipity 3... I mean you may have heard of it.... Either way I'm excited to show you one of my favorite places! 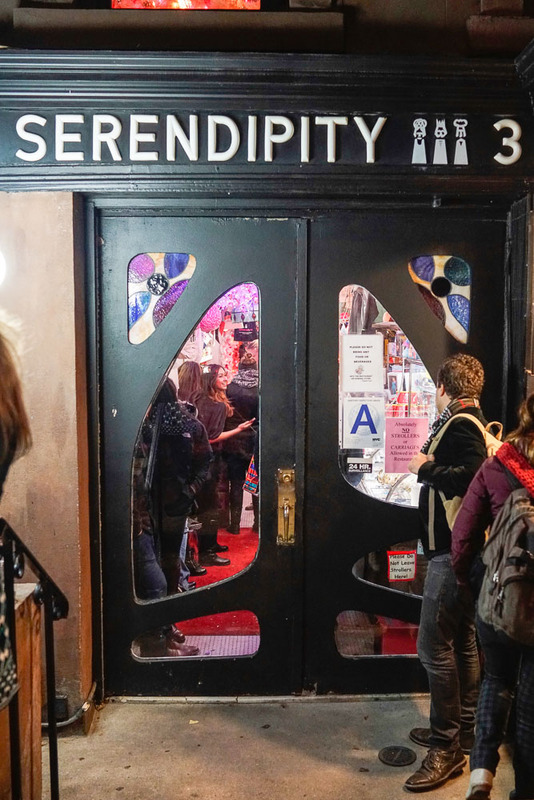 I've wanted to visit Serendipity since seeing the movie and hearing such amazing reviews. I knew it was going to be busy but Andrew and I were able to keep busy when waiting for a table. The ideal thing to do is make a reservation WAY in advance and get there on time. If you're like myself and choose to live on the edge put your name in, expect a 1 1/2 wait and come back then. That's what we ended up doing. But it was totally worth it. 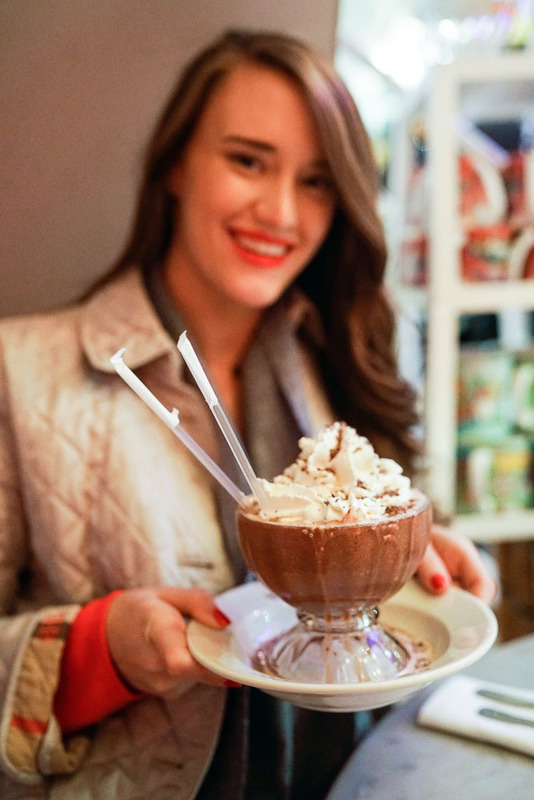 The only thing I really knew about the place was the frozen hot chocolate but we were so hungry we also grabbed dinner there too. The food was actually amazing! You would never know but it totally has a "hole in the wall" mentality to it. The place is small, the staff have been there for years and it looks like they haven't changed a thing. But we had the very best time. Everyone was very responsive and helpful, the food came out so quick and our waiter was a total sweetheart. I am going to make sure to go back as soon as the holidays are over! 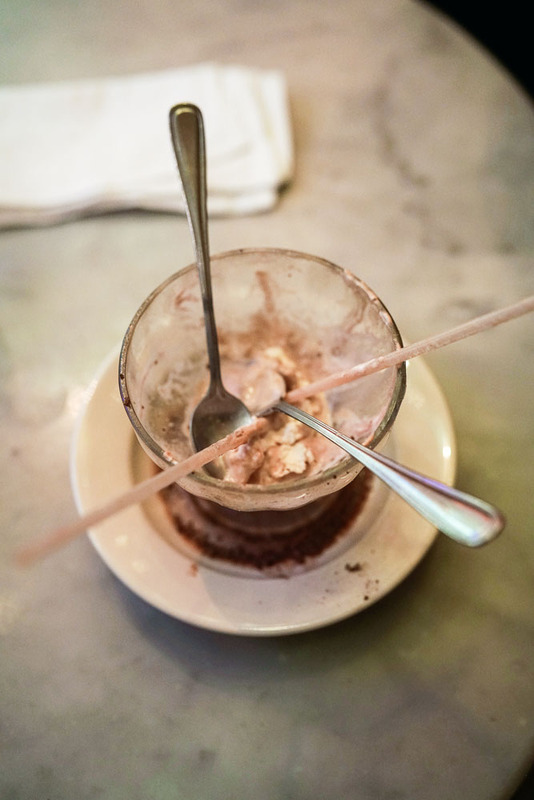 So now let's take a second to talk about the frozen hot chocolate: IT WAS AMAZING. I'm not a huge chocolate eater myself and when I do eat it it's in small quantities but this ooohhhhhh man! I ate about half of it (which says a lot because it's huge) and it was sooooo good. The hype usually isn't as real as you think but in this case it totally is! I just got back from NYC! I wish I knew about this place. Looks lovely! 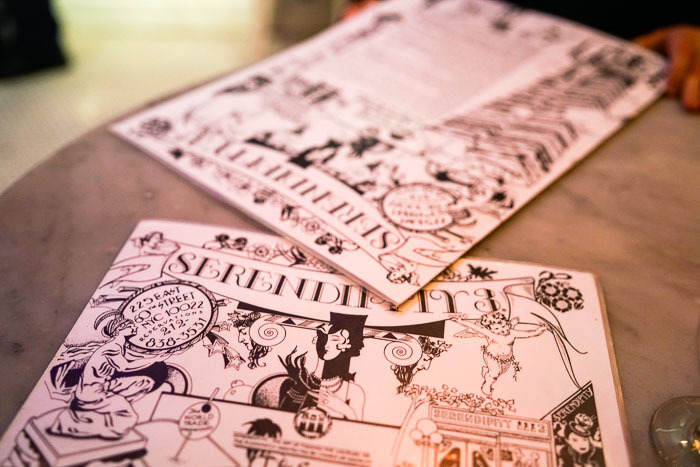 We went to the Serendipity in Miami and it was fantastic! 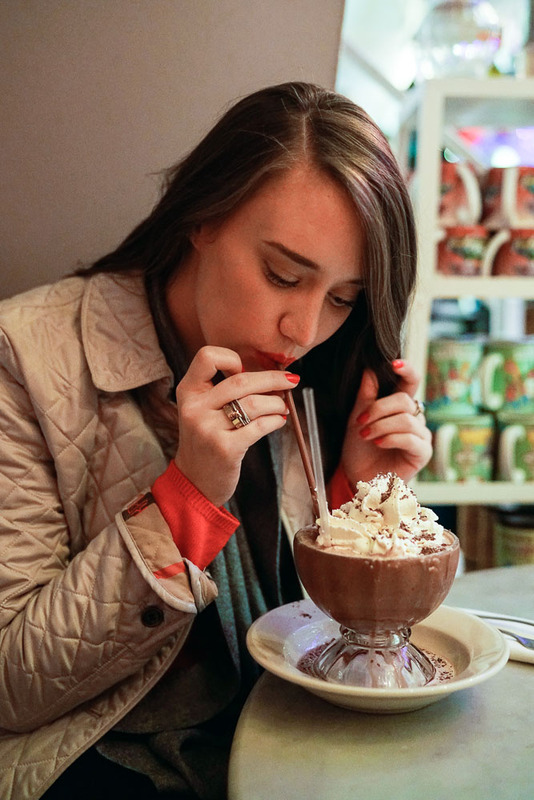 I didn't think I'd like the frozen hot chocolate too much but it was delicious! 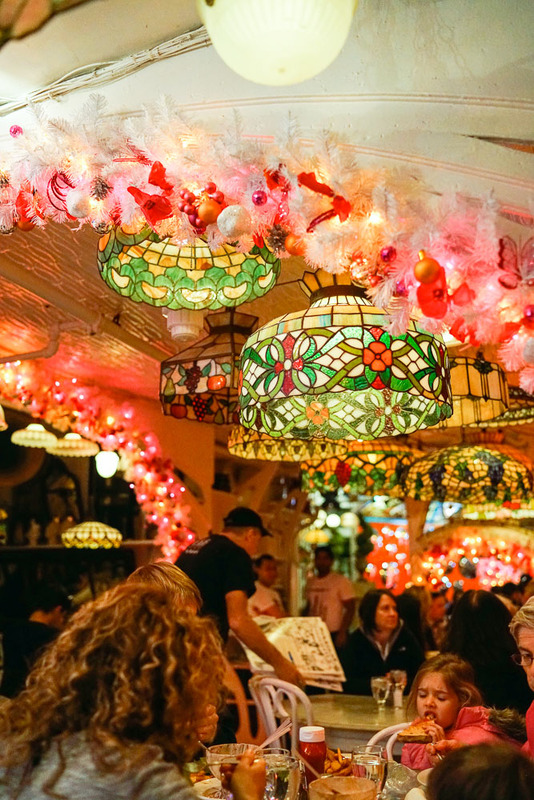 I am going to attempt to make a reservation right now for our upcoming trip!